More school boards are making changes to staffing levels in anticipation of cutbacks from the provincial government. The Lambton Kent District School Board (LKDSB) says it has notified 111 full-time equivalent teachers regarding potential staffing changes. 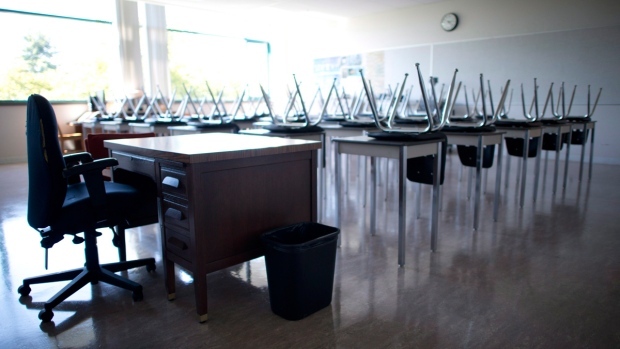 The number of layoff notices includes members of two employee groups -- 52 Elementary Teachers’ Federation of Ontario members and 59 Ontario Secondary School Teachers’ Federation members. The school board says it is anticipating a significant reduction in Ministry of Education grant funding due to the provincial government plan to increase class sizes. The board says declining enrolment also plays a factor in the layoff notices. The LKDSB says it is currently awaiting the specific details regarding the funding allocations for the Grants for Student Needs. That is anticipated by the end of April. The Ministry has also affirmed that the Local Priority Funding, an allotment that has been used in the past to fund some staff positions, will expire August 31, 2019. “The priority for senior administration remains focused on providing and maintaining as many classes as possible in our schools for our students,” added Costello. The news comes one week after the Greater Essex County District School Board issued “redundancy notices” to nearly 100 elementary teachers. “Redundant means that they're no longer on the staff list that they're currently on but instead will be used in temporary assignments,” said John Howitt, the Superintendent of Education. The GECDSB also blamed the provincial plan to increase class sizes in the fall for the notices. The Windsor Essex Catholic District School Board says a decision about its staffing levels will be made in May.